CBCT scans are patient and provider friendly, but who's reading them? Orthopedists and podiatrists are taking a page from dentists and oral surgeons and installing cone beam CT (CBCT) systems in their practices. Several companies—Carestream, CurveBeam, Planmed—now manufacture affordable, compact CBCT systems designed specifically for extremities (hands, wrists, elbows, knees, feet, and ankles). The CBCT units for extremities are catching on because they provide high-quality, low-dose, 3D imaging of musculoskeletal conditions quickly, their marketers say. They also offer weight-bearing images that can be important when diagnosing and treating orthopedic conditions, especially with knees, ankles, and feet. While X-rays can be taken in a load-bearing position, conventional CT cannot. "With our OnSight 3D Extremity System, you get a much truer representation of what the body part of interest is doing under a normal load," says Helen Titus, marketing director of digital capture solutions at Carestream Health. Carestream, which displayed its system at RSNA 2016, began shipping OnSight at the end of January. However, the placement of CBCT units at the point of care has raised concern among some radiologists over who is reading the studies. The main difference between multidetector CT and CBCT is in how the images are acquired. A traditional CT takes a narrow slice of the area of interest with a "fan beam" of X-rays. To produce an extended volume of the anatomy, many slices are captured as its detectors rotate multiple times around the patient. In contrast, the CBCT has a larger area detector that can image the patient in a single rotation. Also, CBCT systems have limited protocols and are typically simpler than even plain X-ray to operate, says Vinti Singh, an advanced imaging specialist at CurveBeam. 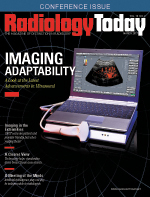 Unlike conventional CT, the CBCT units for extremities can be placed outside radiology departments or centers because they typically don't require a lead-lined room—depending on local regulations—or have special power requirements. "The OnSight system can go into a standard exam room," Titus says. "You plug it into a standard electrical outlet in the wall." Proponents say CBCT offers extremity imaging advantages to both patients and providers over traditional CT. For patients, the advantage is ease of access. For providers, the advantages are improved diagnostic capabilities, workflow, and productivity. At some CBCT providers, patients can undergo the necessary imaging in a single visit. Massachusetts General Hospital (MGH) in Boston has had a Planmed Verity CBCT Extremity Scanner in an outpatient building on the same floor as its busy orthopedic practices for three years—MGH did some preliminary tests when the equipment was undergoing FDA approval. MGH also has a CurveBeam pedCAT at its outpatient center in Waltham, Massachusetts, specifically for its orthopedic foot and ankle surgeons and podiatrists. Some musculoskeletal patients are scheduled to undergo a CBCT exam ahead of time but the majority are "same-day add-on scans," says Joe Simeone, MD, a radiologist who specializes in musculoskeletal imaging and intervention at MGH in Boston. "The referring physician has questions and sends the patient to us because he needs something better than what can be seen on the patient's X-rays," Simeone says. Lisa Hecht is X-ray manager at Resurgens Orthopaedics in Atlanta, which has 21 sites and 95 physicians—soon to be 100. If one of Resurgens' physicians orders a CBCT for a patient who is at or near its site with Carestream's OnSight, "we can get it approved and have it done the same day," Hecht says. Convenience is certainly a big advantage, she says. It's also easy for patients to get in the scanner. "Patient comfort was a big priority when we designed the OnSight system," Titus says. "We have a proprietary patient door that opens up. If a patient needs a standing knee CBCT exam, he easily walks into the system. Patient support handles aid in safety and stability during the 25-second scan, and then the patient walks out." Once the patient leaves the scanner, it takes about four minutes to complete a full high-resolution volume reconstruction. "The practices that have these systems are finding the workflow is about 10 to 15 minutes from start to finish," Titus says. "That means you can quickly image a lot of patients if you need to," she adds. Another advantage of CBCT is that it is possible to image patients with metal implants. "Some traditional CT scanners have problems handling patients with metal implants," Titus says. "We put a lot of work into creating software that reduces metal artifacts." CBCT's ability to produce load-bearing images is extremely beneficial, too, says John Carrino, MD, MPH, a radiologist at the Hospital for Special Surgery in New York, which has a CurveBeam pedCAT in one of its imaging suites that is located in the same building as its orthopedic foot and ankle department. "Typically, when you do foot and ankle X-rays, you always prefer to do them in a load-bearing fashion, unless there's been trauma and the patient can't load bear," Carrino says. A load-bearing image reveals alignment abnormalities that may not be seen on nonload-bearing images. "You want to get an appreciation for what's driving the problem," Carrino says. The knee is another joint "where you get a better appreciation of the joint space narrowing and meniscal positioning when done in a load-bearing position," he says. CBCT also offers better spatial resolution than other imaging modalities, Carrino says. A CT will reveal some radiographically occult bone fractures that may not show up on X-ray. Where it may fall short is in soft tissue contrast resolution. "It's still pretty good for soft tissue but not as good as some others such as magnetic resonance," he says. "It does not show you the same insight into soft tissue and bone marrow that MRI does, so it would not really be replacing MRI," Carrino says. It's more likely to replace 2D X-ray and conventional CT, he says. Most everyone agrees, however, that the biggest advantage of using CBCT is its reduced radiation dose. Tube current settings on conventional CT are typically between 50 mA and 300 mA, while ultralow-dose settings on conventional CT range from 20 mA to 60 mA, Singh says. CurveBeam systems have a fixed tube current of 5 mA, which is well below ultralow-dose settings of traditional medical CT, she says. Its flat-panel detector is positioned closer to the anatomy being imaged, which means less X-ray dose is required to capture similar signal strength, compared with conventional CT.
One challenge with CBCT results from its use of a completely different image acquisition technology than a conventional CT. Consequently, the phantoms and specifications that are designed and optimized for conventional CT are not optimal for CBCT, says Eliot Siegel, MD, FACR, FSIIM, a professor and vice chair of research informatics at the University of Maryland and chief of imaging for the VA Maryland Health Care System in Baltimore. While a proponent of CBCT for extremities, Siegel says the standardized ways that physicists take dose measurements for CT don't work the same way for CBCT. "It is a challenge to be able to measure and report dose for CBCT in a way that would be comparable to conventional CT and allow comparisons—even between different CBCT systems," Siegel says. The lack of dose and image quality assessment standardization for CBCT has created accreditation challenges. While the American Association of Physicists in Medicine is addressing this issue, accreditation of CBCT systems for Centers for Medicare & Medicaid Services reimbursement is limited. The ACR, for example, does not currently accredit CBCT scanners. However, there are other options for accreditation. The Intersocietal Accreditation Commission has a pathway for orthopedist and podiatry practices to get accredited, typically in partnership with a radiologist or radiology group to interpret the scans. "Orthopedic surgery practices and podiatrist groups that have enough volume would embrace it," Carrino says. The cost of CBCT systems can be comparable to that of conventional digital X-ray systems and less than one-half the cost of the least expensive CT scanners, Siegel says. CurveBeam's orthopedic units are under $215,000, much more than X-ray but much less than a full-body CT, Singh says. At MGH and Resurgens, X-ray technologists perform the CBCT exams and radiologists read them. However, that's not the case at all practices that have CBCTs at the point of care, and some radiologists fear that point-of-care units could be yet another blow to their specialty. CBCT exams are more difficult to read and should be done by radiologists who have the training to read them, says David Levin, MD, emeritus professor and chairman of the department of radiology at Thomas Jefferson University Hospital in Philadelphia. Orthopedists and orthopedic surgeons get a fair amount of exposure to reading plain X-rays during their training, Levin says, but "a lot of what they're looking for is fractures and dislocations and things that are relatively easy to pick up on X-ray." However, he says, "CTs are more sophisticated and more technology dependent to get a high-quality study." He doesn't believe that orthopedists and podiatrists have the experience to read CTs—cone beam or conventional—that radiologists do, and he believes that it could be a problem. Levin isn't convinced that many orthopedic surgeons are ordering CTs and reading them themselves. "I have some data on CT utilization through 2015, and I haven't seen that yet. But it could happen," he says, although, orthopedists traditionally have not done a whole lot of CT. "They focus on plain X-ray and MRI, and when it comes to MRI, radiologists and orthopedic surgeons have had a pretty good relationship. Orthopedic surgeons who have MRI in their offices usually contract with radiologists to read them because it's sophisticated reading." Levin says he wouldn't be as concerned about who is reading CBCT as who is ordering them. If the specialists invest in the units for their practices, self-referral could become an issue, he says. Johan Moed, national sales manager for Planmed, says some orthopedic practices it has sold its CBCT units to express that fear, but Planmed's experience to date shows that has not happened. "The CBCT scanner is not for every patient," he says. "You have to have the right indications to run patients through, but if the patient's plain X-rays are negative or inconclusive, then you would want a 3D image." In Europe, Moed says, more patients go directly to 3D than in the United States. "At some point, that will happen in the US, too, but we're not there yet," Moed says. Besides, some orthopedic practices send their CBCT scans to radiologists to read in the same manner they would scans from a conventional CT, according to Moed. Judith Turner, vice president of ProScan Reading Services, says her company reads CBCTs for many podiatrists "who are looking for radiologists who have the experience and expertise in multislice imaging." Interestingly, Moed says, radiologists view the scans differently from orthopedic surgeons; radiologists want to see the axial, coronal, and sagittal scans separate from one another, whereas orthopedic surgeons, especially if they're involved in reconstruction, want to see all three planes in the same view. "The surgeons want to be able to rotate the image and look at all three planes at any given time from any different direction," Moed says. "That's where we see the biggest difference—in how it's being utilized." Moed believes the difference is because radiologists have been taught to read CT scans in a specific manner and orthopedics and other specialties have not. In addition, even if the orthopedic surgeons read the studies themselves, they still rely on radiologists to overread them and provide their interpretations, Moed says. "The surgeons may not be as concerned as the radiologist about looking at the different angles because they are more concerned about how they can fix the problem," Moed says. "They want the studies to tell them the best way to measure the length of the dislocation and to find the best approach or hardware that will fix it." Simeone says CBCT units could be useful in emergency departments as well as orthopedic practices. "CBCT doesn't take up a lot of space," he says. "You can use a regular X-ray room for it, and you're able to see small fractures that you wouldn't be able to see otherwise." He and his staff are discussing whether they should move their unit to the emergency department for evenings and weekends because it's mobile. Siegel expects that interest in 3D orthopedic CT will result in an increased volume of these studies being performed in conventional CT scanners as well. "But, at this point," he says, "the conventional CT scanners don't have the geometric setup or capability to do the standard weight-bearing studies that CBCT scanners are, by design, optimized for."